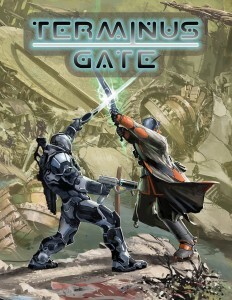 Spider Monkey Games is running their Kickstarter campaign for Terminus Gate, their scenario-driven sci-fi skirmish game. Players build their forces of space privateers and must work to complete contracts in order to gain riches and experience. The game sounds much like Gorka-Morka or Mordheim, where your crew progresses and changes as you play more games, becoming more experienced and gaining new abilities and gear. So if you like that style of game, give them a look. Spider Monkey Games posted up their Terminus Gate basic rules set over on their website and are offering it free to download. So why not go check it out? Spider Monkey Games has been hard at work preparing for our next big step and the time has finally arrived. 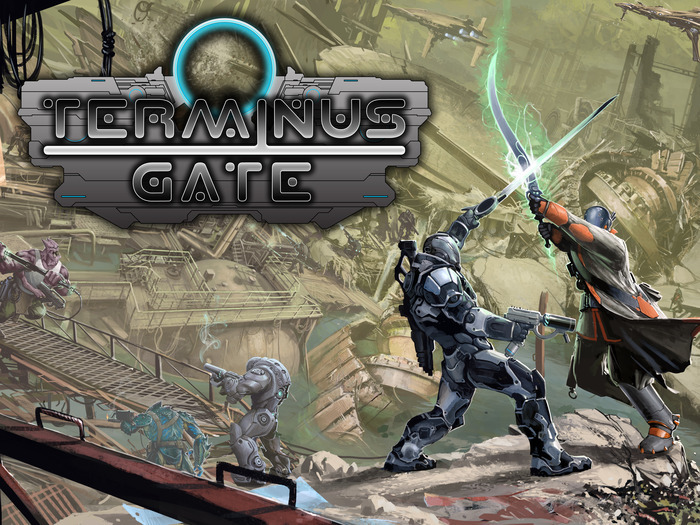 Now available on our site for Free Download are the Terminus Gate Basic Rules. These rules are the core of the game play. There are 2 different versions available: the first is printer friendly, the second is laid out for digital consumption. Please, feel free to download, print, share, critique, and otherwise hammer away at us with any questions or concerns. 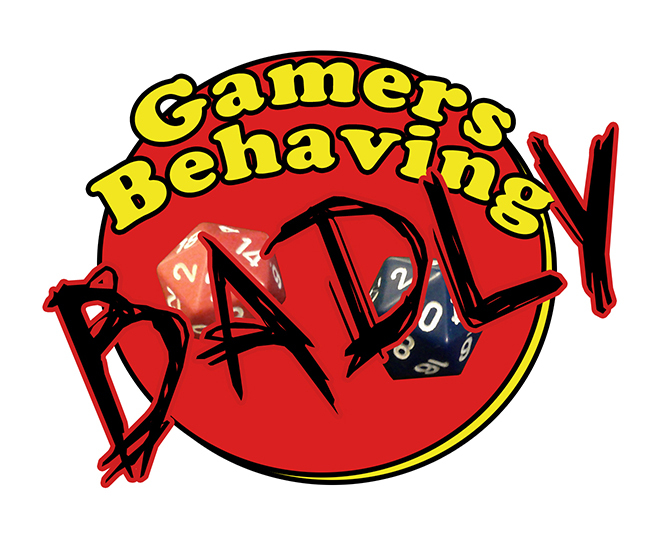 Also keep in mind that this version of the rules does not include the majority of the campaign section. This will allow everyone to jump in and start playing around with the rules without revealing everything we have in store. Spider Monkey Games is showing off the test casts of their newest models that'll be hitting their webshop soon. 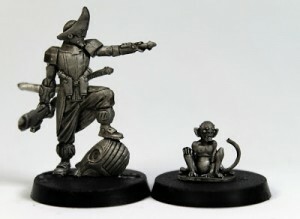 Spider Monkey Games just received the test casts of their first models. Painted models are in the works but preview pictures of the models are up on their site. 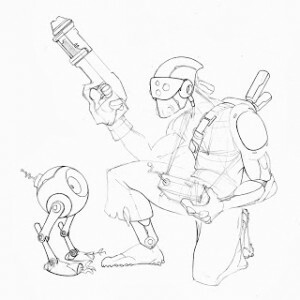 Spider Monkey Games is showing off some more concept art for their upcoming Terminus Gate game they've been working on. We have posted fresh concept artwork for another of the crew backgrounds for Terminus Gate. Head on over and check them out. 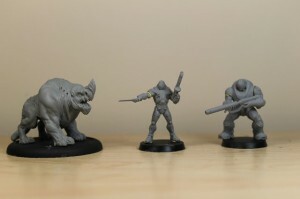 Spider Monkey Games is a new miniatures game company on the block and they're showing off some of their first prototype sculpts over on their website.